Want some cool dorm room decor for the holiday season? Of course you do! You want your dorm room decorations for the holiday season to be as cool as they are the rest of the college year. You don't want your college dorm room to look like anyone else's at any time of the year. It can be easy to have your dorm room decorations look like others during the holiday season and it all starts with your dorm Christmas tree. Maybe you want your college dorm room decor to be really unique during the holiday season. 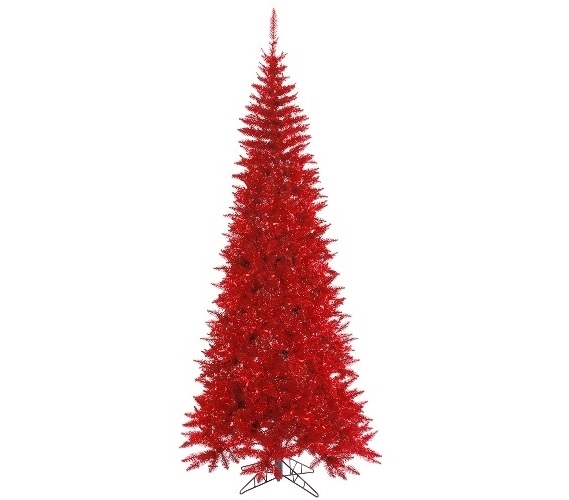 For cool looking one of a kind dorm essentials for your holiday dorm room decor, add our Tinsel Red Slim Fir Tree. 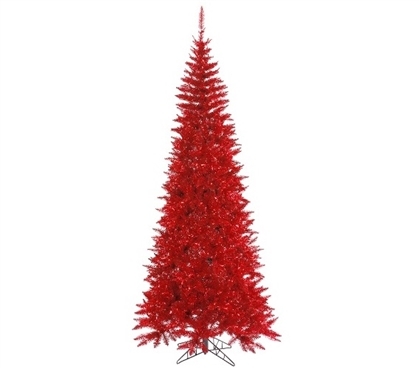 Our Tinsel Red Slim Fir Tree has a fun look that will make your college dorm room decorations pop. The branches are a bright red color that is eye catching. Your friends won't be able to look away from your cool looking holiday dorm room decorations with our Tinsel Red Slim Fir Tree in your college supplies! This dorm necessities item isn't just an average red dorm Christmas tree. The pretty red branches of this college supplies item have shining tinsel highlights that add extra dorm room decorations to your college dorm room!